Ready to go back in time to the 1980s and revisit an all-time classic cartoon in the world of mobile gaming? 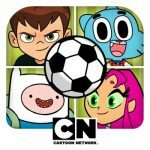 Turner Broadcasting System, in case you didn’t know, owns the Captain Planet franchise, and has helped bring a number of Cartoon Network games to mobile devices, including Toon Cup 2018, which we had just recently covered. Captain Planet: Gaia Guardians, on the other hand, is an idle clicker game where you control all five Planeteers — Kwame, Wheeler, Linka, Gi, and Mati — and take on those evil eco-villains who are out to overcome the world with pollution! Each of the Planeteers’ powers will play a role in battling these new and old enemies, and you’ll also get a chance at some points in the game to let those powers combine and unleash Captain Planet, in hopes of cleaning the world of pollution and defeating those eco-villains! Every idle clicker game has an element of depth that makes them deceptively complex, even if, at the end of the day, they’re still extremely easy to play. 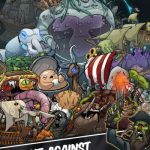 So with that out of the way, let’s move on to what you came here for — our Captain Planet: Gaia Guardians strategy guide, where we discuss 11 tips that will all come in handy as you save planet Earth, clean it up, and rid the world of those monstrous creatures the game’s villains have unleashed. It’s a rather creative twist on endless gaming, though as you’ll find out in a bit, this is a game where you may or may not want to take your time, depending on the number of videos you’re willing to watch. As you defeat more enemies, or monsters in the game, you will earn more coins, though you wouldn’t necessarily need to tap on your screen in order to do the dirty work. The game will do all the dirty work on your behalf when it comes to tapping, so you can just sit back and relax as each of the Planeteers take out more of the bad guys. That too applies in boss fights — even if you’re not doing anything, your Planeteers will still be working on their own to take out the bosses. And you better believe this will also apply when you’re not actually in the game. The longer you remain offline, the more currency you can earn passively, allowing you to level up your Planeteers and keep them prepared for the tougher enemies and bosses in the game. But you can also double whatever you’ve earned offline, simply by watching an ad video and clicking on the play button on the bottom of the prompt. That will direct you to a 20- to 30-second video, which you’ll need to complete in order to get your reward doubled. The game also gives you an option to spend diamonds (5, to be specific) in order to instantly double your passive earnings, though we strongly recommend that you do not take this route, because you’ll need your diamonds for more important things we will be discussing later on in the guide. Kwame (Earth) will be the very first Planeteer you will encounter when playing Captain Planet: Gaia Guardians, followed by Wheeler (Fire), Linka (Wind), Gi (Water), and Mati (Heart). But you may notice early on that you won’t necessarily start an adventure with Kwame and/or Wheeler — it will all depend on the adventure, though once you’ve already encountered all five Planeteers at least once, each adventure will feature all of them, with the third to the fifth becoming available at given areas. You’ll also notice that all areas will give one Planeteer or more an elemental advantage — keep this in mind, because you may need it when you’re taking on the bosses! Focus on the Planeteers with an elemental advantage when unleashing special skills, and you’ll race through areas and defeat bosses faster than you normally would! During those times you’re actively playing, there’s no real need to tap on the screen to kill monsters. But you’ll still need to keep your eye out for flying objects that might appear next to the enemies you’re targeting, the first of which are flying drones that come with coin rewards. The catch here is that after you’ve tapped on, or “intercepted” a drone, you’ll need to “decode” it by tapping on the Decode button — there’s no special technique here, as your chances of successfully decoding a drone tend to depend on the amount of coins contained within the drone — the more coins inside, the harder it is to decode! If you’re not able to decode a drone, you can pay diamonds (the game’s premium currency) to give it another try; unless you were able to purchase diamonds in the in-app store or are particularly loaded with diamonds at any given time, this is something we don’t necessarily recommend! If you aren’t able to decode a drone, you might as well log off and earn passive income to make up for the failed attempt. Aside from the drones, which you can intercept by tapping on them, you’ll be able to collect crates, also by tapping on them as they appear. More often than not, you will encounter wooden crates, which take five minutes to two hours to unlock and normally contain a handful of diamonds and a few pieces that will let you collect new Power Shards for your Planeteers, which could either allow you to unlock new Powers, or upgrade the existing ones that they already have. Aside from the normal crates with diamonds and Power Shards, you may also get to tap on blue crates, which contain a few (emphasis on a few) diamonds, usually about 1 to 5. This will direct you to a “pop quiz” of sorts, where Captain Planet asks you a multiple-choice question about the environment and/or how to save it. Most of the answers are basic common sense — for example, you may be asked to choose the vehicle that has the biggest negative effect on the environment, in which case you’ll have to choose “car” if the other choices are “bicycle” or “skateboard.” Get the correct answer and you win the gems, but even if you don’t, you’ll still get a brief blurb from Gaia explaining why your earlier answer was correct…or incorrect. The green “Recycling” tab directs you to the Carbon Bank mini-game, which is pretty simple and straightforward, with no downside whatsoever. Just tap on the Recycling tab, and tap on the pieces of trash and junk as Captain Planet “recycles” them and clears them out! Doing so will allow you to earn more diamonds, but therein lies the catch — those gems will be deposited into the Carbon Bank, which can only be opened for free once you’ve reached at least 500 diamonds deposited inside. This could take a while, as you would normally deposit about 10 to 12 gems for each time you play the mini-game, but you can always replay it every few minutes or so while actively playing — there will always be no shortage of trash for Captain Planet to recycle! You can open the Carbon Bank before you reach the 500-diamond mark, but that’s going to cost you $6 USD or its local equivalent to do so. We don’t see why you’ll want to do this when you can get substantially more diamonds by waiting it out and being patient. As we mentioned while talking about the wooden crates, these crates come with diamonds (more than the ones inside the blue crates) and Power Shards. Wooden Crates take just up to two hours to unlock, while Boss Crates, which you will obviously be winning after a boss fight, take a whopping eight hours to unlock! Also remember that you’re only allowed to have three crates stored at a time; anything in excess of what you have stored or are currently unlocking will have to be discarded, if you can’t afford the diamonds to open them immediately! That’s why you may be better off taking your time instead of rushing your way through Captain Planet: Gaia Guardians, but on the other hand, there is a way to reduce the wait time for crates to open — watching videos. As we discovered, there doesn’t appear to be any limit to the number of videos you can watch while trying to speed up the unlock time for these crates. In one instance, we were able to open a Boss Crate in just a matter of minutes simply by watching one ad video after the other! 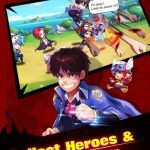 You might not want to push your luck, as mobile games usually only have so many videos to serve up, but it’s worth a try at least once while playing the game! Read on a couple of tips or so and we’ll discuss one big reason why watching ad videos to speed up crate opening is a good idea. In addition to winning crates by tapping on them during “The Fight” or after defeating a boss, you can also buy them at the in-app store, which you can access by tapping on the purple and gold button next to the Settings on the upper right of The Fight screen, then tapping on the Store button below Your Power Collection. You will then be able to choose from Elite, Massive, or Cosmic Crates, which cost 350, 225, and 500 diamonds respectively, with Elites guaranteeing you 3-star Power Shards or better, Massive coming with Power Shards of various rarities, and Cosmic coming with guaranteed 5-star Power Shards. The obvious benefit of buying crates with diamonds is that you don’t need to wait until they unlock — they unlock automatically, which clearly means you can access the contents immediately! As a bonus tip, the Shop also allows you to buy Diamond packages with real-life money (the cheapest is $3 USD or its local equivalent), or special packages, such as the Flame and Ice Package, which comes with 1,250 diamonds, 50,000 coins, and one Power each for Wheeler and Gi. 10. How Do Powers Work? We’ve mentioned Power Shards quite a bit in this guide, and as you may have figured, you’ll need to collect all the shards corresponding to a given Power in order to unlock it and equip it on a Planeteer. These Powers are rated in terms of rarity, with five stars being the rarest and most powerful, and once you’ve collected all the required shards for a Power you already have, that will allow you to upgrade it (with diamonds, as well) and make it even more powerful. Otherwise, you get to unlock a new Power, which you can equip or unequip as needed or preferred. Powers all have their own respective cool down times, which means you may have to wait several seconds to a minute before you can use them again! As a bonus tip, there are some powers where you may actually have to do something on the screen in order to use them. For example, Mati’s default Power, the Avian Assault, would require you to swipe in the direction indicated on the screen so that the birds he unleashes can actually attack your enemies. Kwame’s Rock Fist, on the other hand, will require you to swipe upward in order to launch it against an enemy. 11. How Does The Prestige Process Work? Last, but not the least, let’s talk you through the process of prestiging in Captain Planet: Gaia Guardians, which any idle clicker veteran would tell you is the process of resetting your game and starting from the very top, while losing all your currency (in most cases) and other resources, but keeping a few items that allow you to get farther before your next prestige and get there faster. When you see Finale under The Fight, that means you’re in the home stretch before heading to the final battle against the Mega Boss, which is the toughest of all the bosses you’ll be facing in a given adventure. Like in other boss fights, you’ll have a given amount of time in order to kill the boss, but the Mega Boss will be tougher than the rest, so much so that Captain Planet himself will assist you for the first few seconds of the boss battle. Once Captain Planet is done, it’s all on you — it’s your job to tap on the screen to get rid of the Mega Boss faster, and unleash Powers as quickly as possible. Bear in mind that each Power doesn’t just have a cool down time corresponding to it; there will also be a few seconds interval before you can unleash another Planeteer’s power! 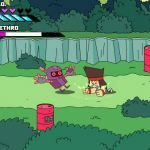 As such, your normal attacks will be very important, and it will certainly help if all your Planeteers are sufficiently leveled up before you enter a Mega Boss Battle. After defeating the Mega Boss, you will then be prompted to unlock all your remaining unlocked crates with diamonds, or discard them if you don’t have any diamonds on you. But that’s not the end of it, as the five bosses in the game will then combine their powers to form Captain Pollution, much like the Planeteers’ powers combine to form Captain Planet. Defeating Captain Pollution is usually easy — just keep tapping on the screen to do damage against him and unlock more bonuses. Once this is all done, you will finally receive Gaia’s Gifts, which go toward the improvement and restoration of Hope Island, which you can visit on a regular basis to claim more coins to upgrade those Planeteers and build them up for those more difficult boss battles. You will then be free to prestige (this is done automatically) and start a new adventure, losing all your currency (coins and diamonds), but keeping the improvements to Hope Island and your Powers, which will all play a part in helping your Planeteers level up faster and get through the tougher adventures with less difficulty!